The customer next to you in the queue looks innocent enough. But instead of a shopping list, you notice she’s carrying handwritten notes about the appearance and cleanliness of the store. She’s been timing the progression of the queue on her phone … and is that a tiny camera lens peeking out from her purse? There’s no trenchcoat in sight, but odds are, you’ve just spotted a mystery shopper. 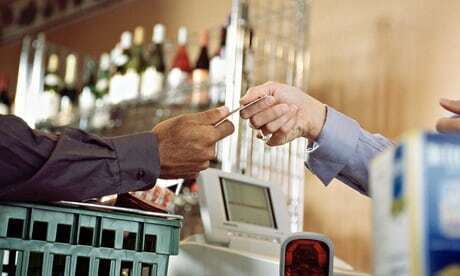 Sainsbury’s, John Lewis, the Post Office and Metro Bank all use mystery shopping company ABa to score their stores, which then helps to determine staff bonuses and identify any training issues. “We assign different store locations to each shopper and rotate them so that they never go back to the same shop within three months,” says ABa spokeswoman Jill Spencer. “Each day, they typically spend up to eight hours visiting five to 10 stores, plus another hour or two filing detailed reports on every aspect of their visit.” For that, the mystery shoppers can earn up to £155 a day. They are also reimbursed for their petrol and hotel stays, and compensated for their car depreciation (the shoppers can be expected to drive as many as 20,000 miles a year). Meanwhile, video mystery shoppers, who film their visits with a hidden camera planted in a buttonhole or handbag, can earn even more – around £300 a day. Sadly, regular mystery shopping assignments that pay like Laura’s are few and far between. In fact, competition is so fierce, she keeps her job a closely guarded secret and even her friends and family don’t know who she works for (Laura is not her real name). Shoppers for Marketforce do not receive any recompense for their travel and, on average, get just £5 to £15 to spend during each visit, but Boydell argues the shoppers are deliberately chosen because they would be visiting those shops anyway or “are happy not being paid”. For example, no fee is offered for all-inclusive trips to five-star hotels abroad, yet these jobs are usually snapped up “within 10 minutes or less” of being advertised online. “I’d go on a cruise for nothing,” says Laura. “But I think mystery shopping companies that pay you a nominal fee to travel to a restaurant and eat a meal are exploiting people. I won’t touch those jobs anymore.” There are plenty of people, however, that would. Hannah, a 41-year-old City lawyer, has conducted nearly 500 visits for the Mystery Dining Company in her spare time without receiving remuneration or travel expensesAs a prestigious “platinum diner”, she is regularly hand-picked by the Mystery Dining Company to carry out their most exclusive assignments, enjoying £200 meals at Michelin-starred Mayfair restaurants, five-star hospitality at Ascot and overnight stays at boutique hotels. But there’s no such thing as a free lunch – even if you work for a mystery dining company. Hannah says she typically spends two to four hours after each visit writing detailed reports on everything from the quality of the food to specific interactions with staff, whom she always needs to be able to name or “subtly” describe. Trickiest of all, she must memorise all these details while eating her meal – unable, of course, to openly write anything down. Yet to some, mystery shopping is so attractive that “a few hundred people” every week are willing to spend up to two and a half hours filling in surveys at ukmysteryshopper.co.uk, just to be in with a chance of effectively winning a £100 mystery shop. “We make money when we sign people up via our surveys, we don’t work for any brand we mystery shop,” says spokeswoman Amy Mills. Within the surveys, she admits “there may be questions that if you select yes, you’ll get text messages and there may be a charge for those messages”. Would-be shoppers need to read the terms and conditions of each of the 15 10-minute surveys they are asked to complete, she says, adding that just five of those who have taken part will be selected “at random” each week to receive a £100 voucher. Their reports are then published online, apparently with their name or photo. • Visit the mystery shopping forum thread on moneysavingexpert.com for word-of-mouth reccomendations about different companies and how they operate. • If you are unsure about the authenticity of a company, check whether it is a vetted member of the MPSA at www.mspa-eu.org.